The cost of a DJ can vary greatly from a few pounds to thousands, but what is the average cost of a mobile or wedding DJ? There are lots of reasons for such a variance in prices. Factors such as the length of the event, day of the week, quality of the DJ, equipment used and distance travelled will all make a difference. Like any trade, the cost of a DJ doesn't necessarily reflect the quality of service. There are some good DJs out there only charging peanuts and equally some bad ones charging a lot. 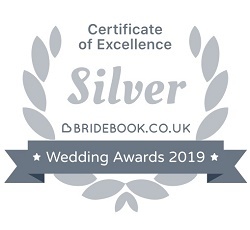 According to the Bridebook.co.uk & The Wedding Industry Award's report 'The UK Wedding Report 2018', based on 2,668 responses from bride and grooms, the average cost of a wedding DJ in 2017 was £604. However, this only looked at weddings and not other types of functions. The 2018 SEDA consensus is still taking place, but early results revealed at the March Shownight show the average fee being around £300-500 mark. But that was based on fewer than 100 respondents and all of them being DJs. (The full results are due in May). A common question for new DJs is "how much should I charge?". Well, there isn't a scientific answer to the average cost of a mobile DJ. My advice is that a DJ should charge an appropriate fee for the services offered, taking into account various factors such as experience, equipment, type of event, location, time required...etc.